Ever since I started being into nail art and nail polishes over a year ago, I have now acquired couple of nail polishes to last me for months or so. So, I decided to have a special section on this blog reviewing and swatching a certain nail polish each Monday. For this week, let's put Orly in the spotlight. Orly is one of my favorite higher-end nail polishes because of the colors and the consistency of the nail polish. Orly's consistency is really pigmented so one coat is enough to give colors to your nails. Two coats and your nails would be perfect! 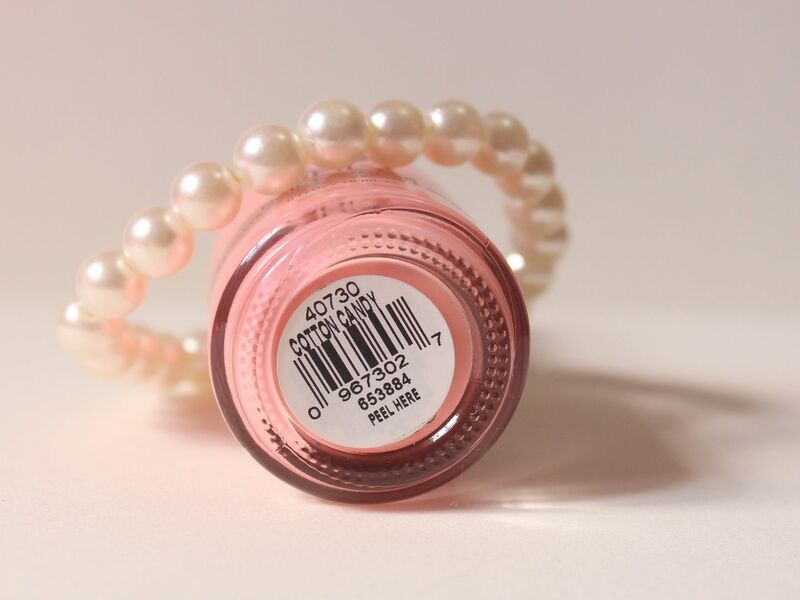 This pink polish is part of Orly's Sweet Spring Collection. The collection comes in 6 yummy pastel creme shades. I fell in love with this pink one the moment I saw it. This shade should be perfect in Spring, since that season is all about pastels and soft colors. It's still Winter in many countries at this time, so you have enough time to hunt this in the market and save it up for when it's finally the Spring! Price is P349 here in the Philippines, about $8.5 when converted. I got it from Watsons in SM Department store. One more thing I love about Orly is that it is so easy to find here in the Philippines, unlike other competitor brands that are so difficult to find. 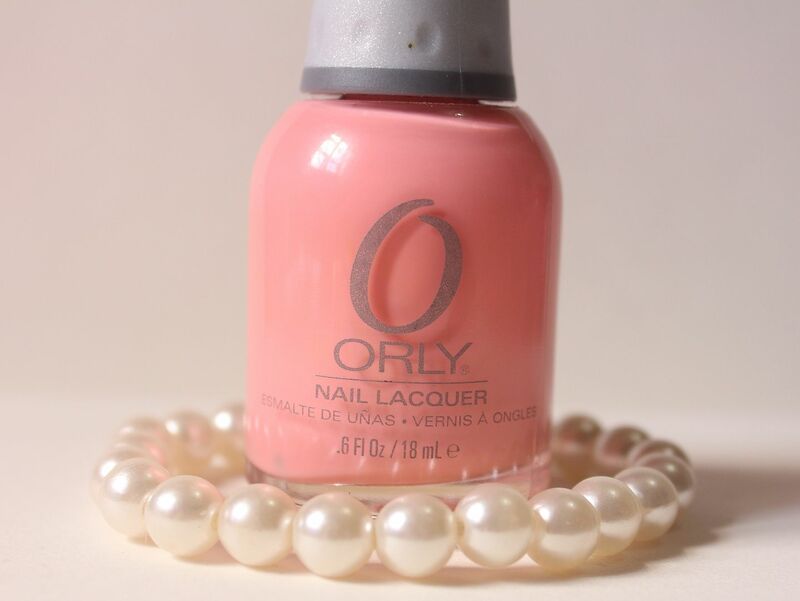 Orly Cotton Candy is not the typical "Barbie" bright pink nail polish. This shade is very subtle and creamy. 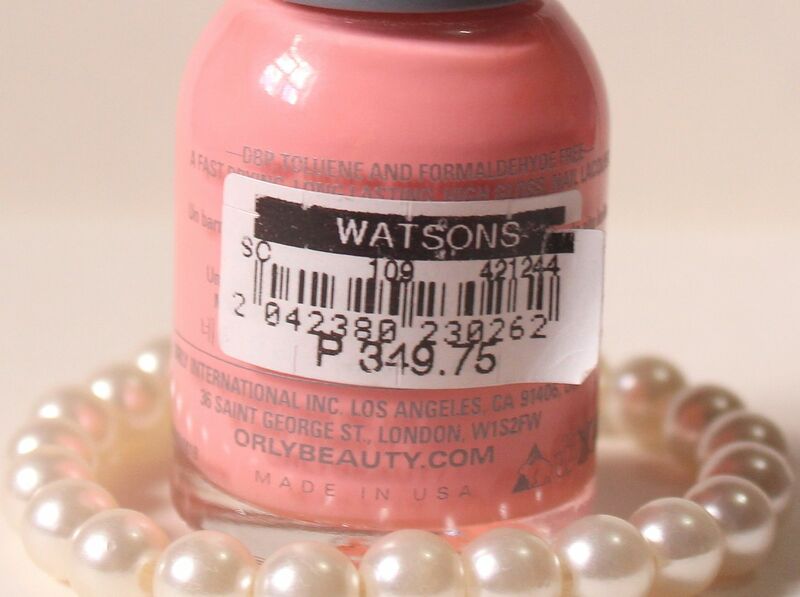 When I was applying it on my nails, I thought they looked like cotton candy...and much to my surprise when I was checked the label, Orly did name it Cotton Candy. Talk about real colors. One more thing, if you have problems putting bright or loud colors on your nails because your hands look darker when you do that, Orly won't give you that problem. This shade is very light and subtle that it makes the skin appear lighter. Perfect for all skin tones. All in all , I really like this shade and I'm glad I have it in my collection! Let me know what you think about this shade by leaving a comment below.